Helena Astolfi has represented multinational and domestic corporations, their employees and private individuals in matters before the U.S. Citizenship and Immigrant Services, the U.S. Department of State and U.S. Consulates. Her employment-based practice includes professionals in engineering, biotechnology, medicine and business, as well as software developers and information technology professionals at large corporations and consulting companies. Ms. Astolfi also represents universities, medical colleges, professional dancers and international level athletes from around the globe. Ms. Astolfi has spoken on numerous immigration panels and has also written on various immigration topics. 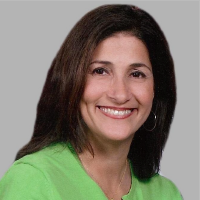 Ms. Astolfi is a member of the American Immigration Lawyers Association (AlLA), where she has been actively involved in leadership roles for over 15 years. She most recently served on the 2012 National Conference Planning Committee for Business Immigration Matters. In addition, she served as the national secretary of AILA's Young Lawyers Division and as a member of the planning committee for several regional conferences, she has been a presenter on business immigration matters. She is a frequent lecturer and speaker at Immigration conferences and CLEs. She is currently a member of the Philadelphia Chapter of AlLA and has served as its membership chairperson and was a member of its Department of Labor Liaison Committee and Vermont Service Center Liaison Committee. In addition, she currently provides pro bono immigration services to several organizations. Admitted to practice in Virginia only. Practice limited to Federal Immigration and Naturalization Law.